County officials could soon change how they sign off on major zoning alterations, sparking some pushback from the county’s business community over fears that the new process could make large redevelopments more difficult. The county is currently mulling an overhaul of its methods for reviewing applications for special “General Land Use Plan” studies. The GLUP is Arlington’s primary policy guide guiding development around the county, and property owners and developers can request a special study of a specific area if county leaders have yet to adopt zoning standards for a property, or if they’re proposing changes outside the scope of what the county envisioned for the area. 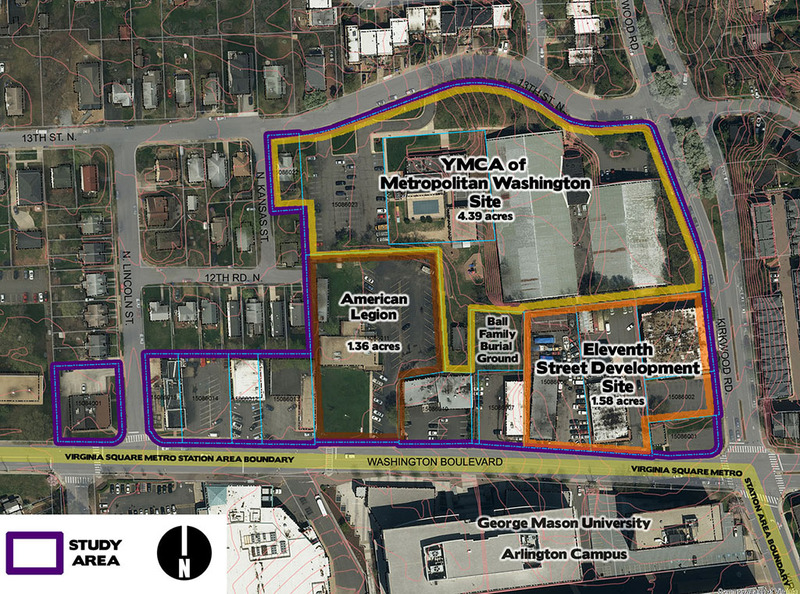 A GLUP study most recently charted out changes in Virginia Square, clearing the way for the planned addition of a new affordable housing complex and new apartments along Washington Blvd. 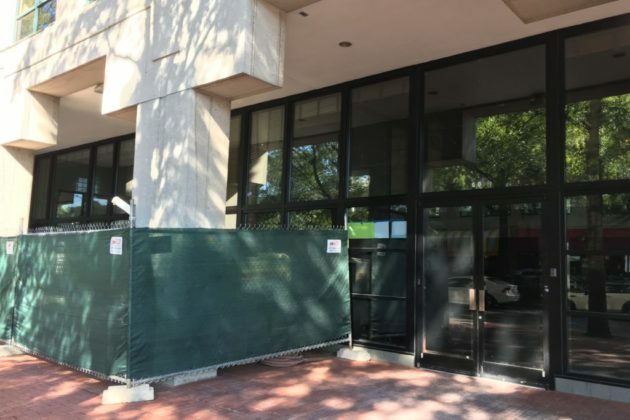 But county staff have had trouble handling the workload of special GLUP studies requests recently, which has been particularly impactful for one prominent shopping center: the Village at Shirlington. The development’s owner, Federal Realty Investment Trust, has hoped for a study since December 2017, with the eventual goal of adding more density on the property. The company is also weighing putting a new apartment building on the parking lot at the corner of S. Arlington Mill Drive and S. Randolph Street. But the firm would need an amendment to the county’s land-use plans to make those changes happen, and that will only come with a special GLUP study. Accordingly, the process has been closely watched by county developers eager to learn more about how it might change. In a Jan. 22 meeting of the county’s Long Range Planning Commission, Arlington staff laid out a series of proposed changes to GLUP study applications. In a bid to make the process “more efficient and streamlined,” cutting down on staff time devoted to the issue, applicants would have to provide more detailed information on proposed changes up front, including 3-D models of the property and a more robust analysis of transportation impacts from the development. Staff also hope to limit study applications to June 1-Sept. 1 each year, with the goal of passing along reports on the study requests to the County Board by the following February. Applicants would also be required to pay an “initial review fee” before even filing a full GLUP application. While she acknowledges that the changes might create “workflow certainty” for county staff, she warned that could come at “the cost of lost opportunities for Arlington” by dragging the process out for too long. “Arlington prides itself on being a community with a forward-looking, progressive planning policy but this proposal is clearly a step back,” Bates said. Bates is instead urging the county to leave the current GLUP study process in place, but dedicate more county workers to handling the study requests. That could be challenging, however, given the county’s current mix of a hiring slowdown and the elimination of some county positions during a difficult budget year. The Long Range Planning Commission and Zoning Committee are set to hold a joint meeting on the topic tomorrow (Wednesday), with the goal of advancing the proposal to the full Planning Commission in March and the County Board in April. 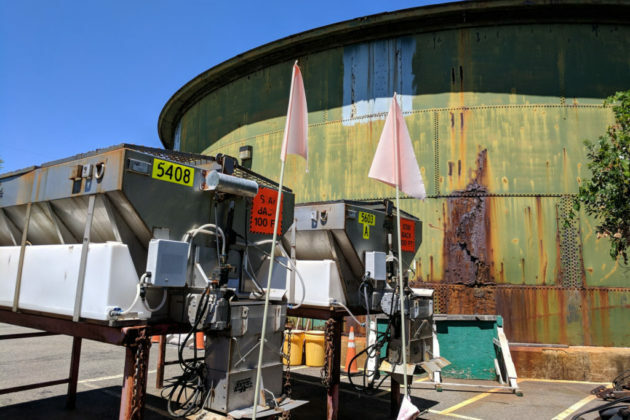 County planners are now kicking off work to chart out the future of the former home of Arlington’s “Salt Dome,” the site of so much community consternation this past summer. A task force convened by the County Board to study the 7.6-acre property, at the intersection of 26th Street N. and Old Dominion Drive and adjacent to Marymount University’s campus, is planning a “community roundtable” on the matter Saturday (Jan. 12). 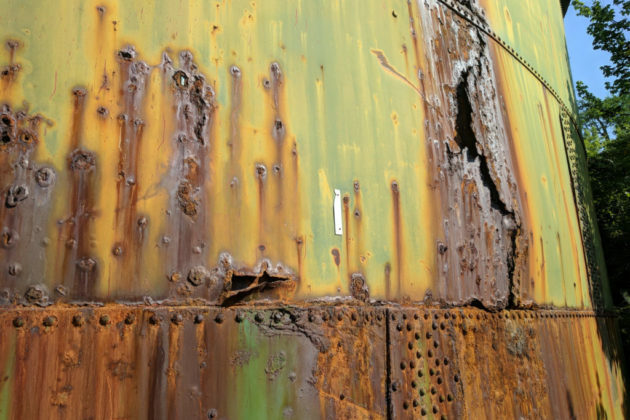 The meeting will be held at Arlington Central Library (1015 N. Quincy Street), starting at 10 a.m.
For about 90 years, the property was home to a large metal “dome” storing road salt and served as the base of operations for salt trucks in the northern half of the county. 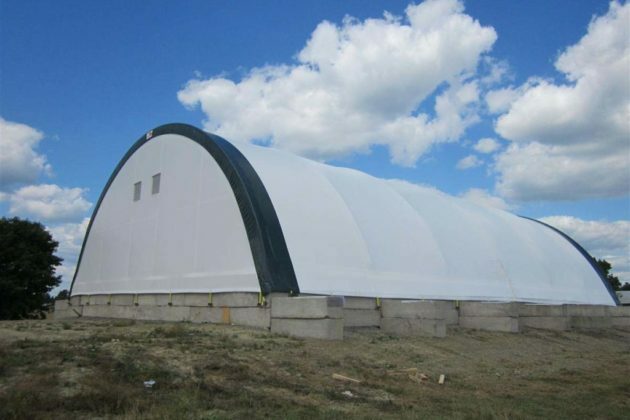 But county staff discovered in July that the structure was on the verge of collapsing, and they took rapid steps to secure the Board’s permission to tear down the dome and build a temporary storage facility in its place. The process took months to complete, but many neighbors still felt blindsided by changes that failed to follow Arlington’s notoriously extensive community engagement guidelines. In particular, some worry that the temporary facility would eventually become permanent, even though people living nearby had hoped for years to see the land transformed into a park or some sort of other community amenity. County workers removed the old dome just last week, standing up a structure designed to hold about 4,500 tons of road salt in its place. The Board has since issued a variety of mea culpas for its handling of the issue — new Chair Christian Dorsey even singled the process out as a “failure” during his Jan. 2 speech taking the Board’s gavel — and agreed to kick off a planning process for the property in part to rebuild trust in the community. The “Master Planning Task Force” could eventually recommend one of all manner of new uses for the property, most of which sits empty. However, county staffers agree that they’ll need to maintain most of their existing operations on the site, from winter storm response to leaf and mulch storage. As for the rest, there are plenty of possibilities being batted about. The county’s Joint Facilities Advisory Commission, a group dedicated to finding space for public facilities around Arlington, is recommending that some sort of park or other public space must be created or maintained on the site, according to November meeting documents. JFAC is also suggesting that the property could have room for an “elementary or secondary school,” at a time when land for new schools is a particularly acute need for the county, or for vehicle storage for police or school bus drivers. 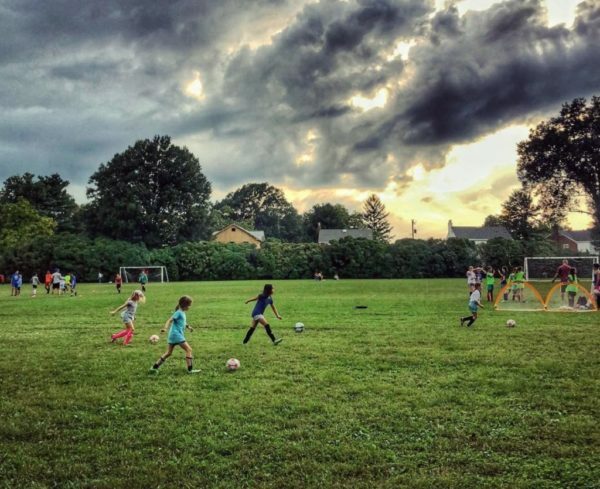 Additionally, Marymount University is pitching the prospect of striking a deal with the county to build a “multi-use” athletic field on the site for its sports teams, alongside a one-acre park and playground to meet the community’s wishes. The task force is set to meet again on Thursday (Jan 10.) and hopes to eventually deliver a report to the County Board with recommendations for future sites uses by April. 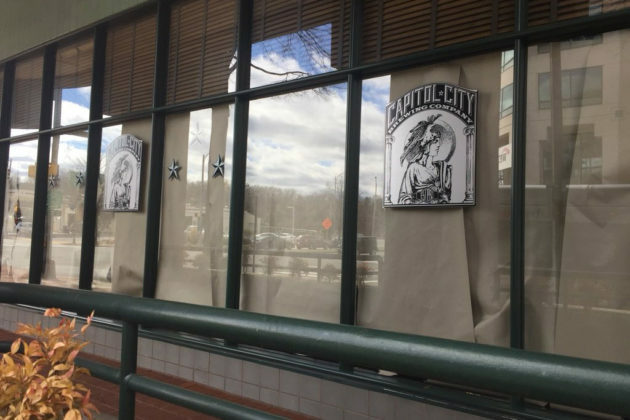 A new restaurant could soon be on the way for the space formerly occupied by Capitol City Brewing in Shirlington. 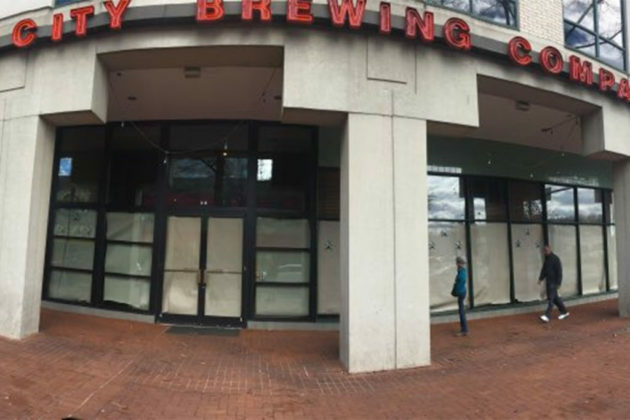 A tipster recently told ARLnow that workers in the area believe Lazy Dog Restaurant and Bar is eyeing the property at 2700 S. Quincy Street, part of the Village at Shirlington shopping center. The chain is primarily based in California, with locations in Colorado, Illinois, Nevada and Texas. Barbara Caruso, a spokeswoman for Lazy Dog, confirmed that the restaurant is evaluating the location, which would be its first in the D.C. area. “Lazy Dog is exploring a potential future location in the Arlington area but a lease has not yet been signed,” she said. According to the restaurant’s website, the menu is centered around traditional American fare, with brunch options as well. Lazy Dog also boasts an extensive beer list. Since Cap City closed up shop in March, ending its 22 years in business, the space has seen a flurry of construction activity, but otherwise remained empty. That work could be tied to plans from the shopping center’s owner, Federal Realty Investment Trust, to add new buildings to the area and refresh the development. 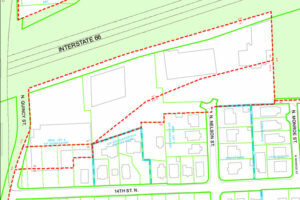 The property owner asked county officials for a special General Land Use Plan review of the area last December, which could ultimately clear the way for more density on the site. However, that request “has not been addressed due to the current county staff workload,” according to minutes from a Nov. 14 meeting of the Long Range Planning Committee. 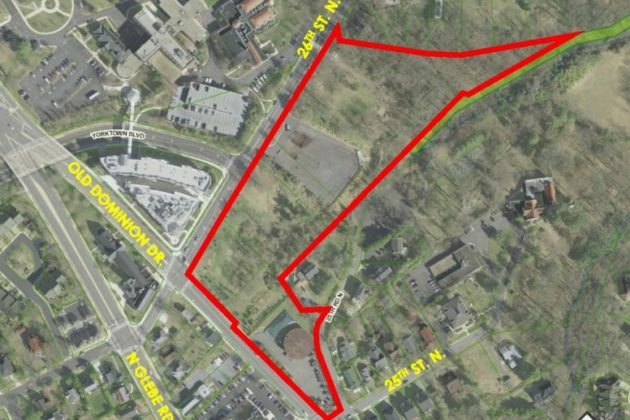 Arlington County is interested in purchasing property in Nauck that has been the subject of redevelopment talks for years. 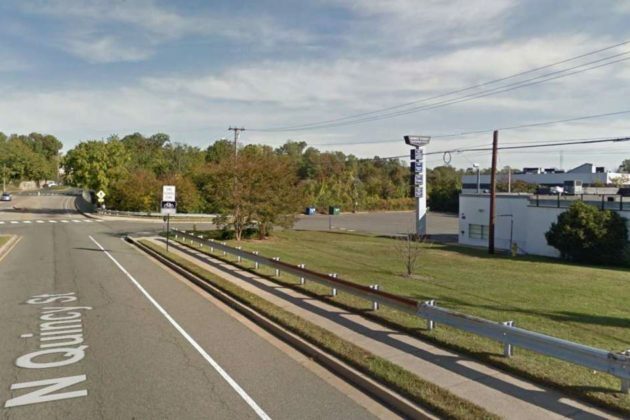 At its meeting next month, the County Board will take up the issue of purchasing 2631 and 2633 Shirlington Road, according to a public notice the county released this week. Several years ago, a portion of the 153,000-square-foot industrial site near Shirlington was redeveloped into a self-storage facility, called CubeSmart. 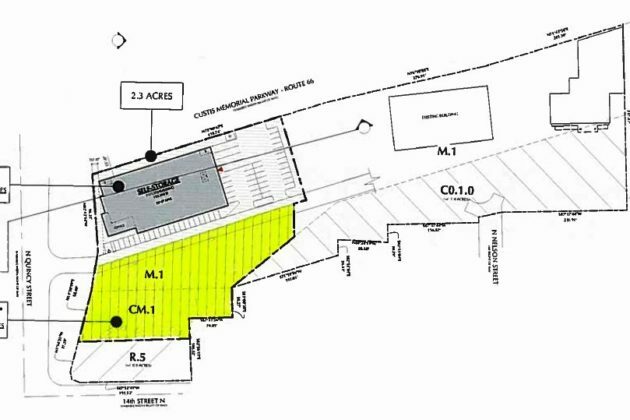 Prior to that, it was considered as a potential location for an urban Walmart, but the County Board quickly passed a measure that would require large-format retailers to get Board approval for building stores. Arlington County is already leasing the parking lot next to the CubeSmart for ART buses and other needs. The public notice indicates that the county might consider acquiring the land through eminent domain if the owner does not agree to sell. The following Letter to the Editor was written by Arlington resident Matt Rizzolo regarding the county’s potential purchase of the Buck property, across from Washington-Lee High School, and the land use decisions that will accompany the purchase. 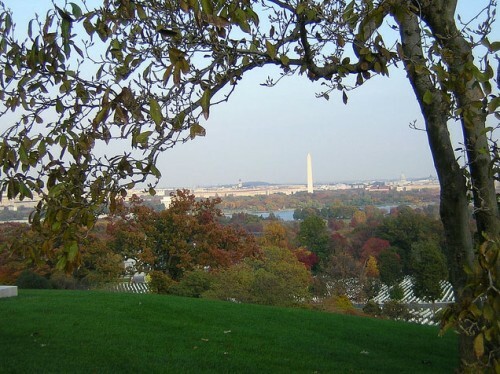 With over 8,000 people per square mile, Arlington is one of the most densely populated areas in the country. It’s no surprise, then, that Arlington is often held up as a model of walkability and smart growth, and the county government rightly champions such accolades. But being such a small, highly populated and growing county presents unique challenges–with transportation and facilities issues, including schools, high on the list. This is where the county’s possible purchase a six-acre parcel of land in North Arlington comes into play. This plot, known as the “Buck property,” is in a central, high-value location: for example, it’s within walking distance of three different Metro stations, including Ballston and Clarendon. The size of the land–rarely available in Arlington–understandably has Arlington leaders champing at the bit to see how best to use this property to satisfy some of the county’s many needs. Arlington’s growing population requires more schools to educate students, more storage for school and county buses, more emergency and municipal facilities, and more open space for playing fields, to name just a few. 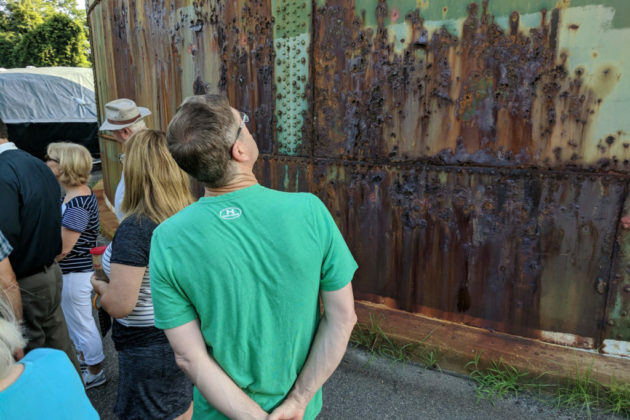 A few months ago, I wrote a piece for the Washington Post urging the county to think big about this property–including exploring decking over I-66–and not simply take the path of least resistance. To me, the first step in this process is elementary–as in, elementary school. Despite being located in one of the most densely populated parts of Arlington, houses near the Buck Property have no nearby neighborhood elementary school–most nearby children either walk nearly a mile to Glebe Elementary School (crossing busy Glebe Road), or most take buses to Taylor or Ashlawn Elementary Schools, both several miles away. (Arlington Science Focus School, located a couple blocks from the Buck property, is a choice school that offers no geographic preference to nearby households.) 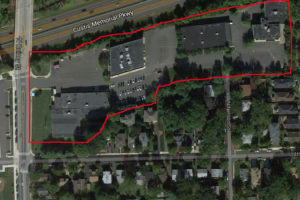 The location of the Buck property and the density of the surrounding neighborhood provide the county with an opportunity create a new, “walkers-only” elementary school–an opportunity the county should seize. Building an elementary school on the Buck property would allow Arlington to “walk the walk on walkability,” and also to satisfy multiple county needs at once. Arlington doesn’t provide transportation for elementary school students who reside less than a mile from their school–here, a new elementary school could likely be filled with students who live within just a half mile from the site. A walkers-only school, drawing from the current boundaries of Glebe, Taylor, and Ashlawn, would obviate the need for these children to ride buses or walk long distances to school. Such a school would obviously hew to Arlington’s mission of smart growth and walkability, and could be used as a model for elsewhere in the region (and possibly, the nation). Students’ health would benefit from walking even short distances to school instead of taking buses. A new elementary school would also alleviate the pressure on the already-stressed school system, which is currently forced to use over 100 trailer-type portable classrooms countywide. Arlington would be able to construct a new school without the expense of purchasing, housing, and servicing new buses to support the student population; the county would likewise be able to re-route or re-purpose buses currently used to transport students to Ashlawn or Taylor. Fewer buses moving students through the county’s busy corridors means reduced traffic and less pollution. Finally, this new school could be just the first step in a larger, long-term project for the surrounding area. The school grounds could be combined with nearby Hayes Park and provide additional green space playing fields for students and the Arlington community. With so many schools and the David M. Brown Planetarium nearby, the county could explore partner with a private entity to establish a children’s learning center or athletic facilities. And the decking of I-66 should be analyzed, to possibly stitch back together the neighborhoods of Ballston-Virginia Square and Cherrydale (split by I-66 back in the early 80’s) with development above the highway. The possibilities are many, but the first step here is for Arlington to walk the walk on walkability. 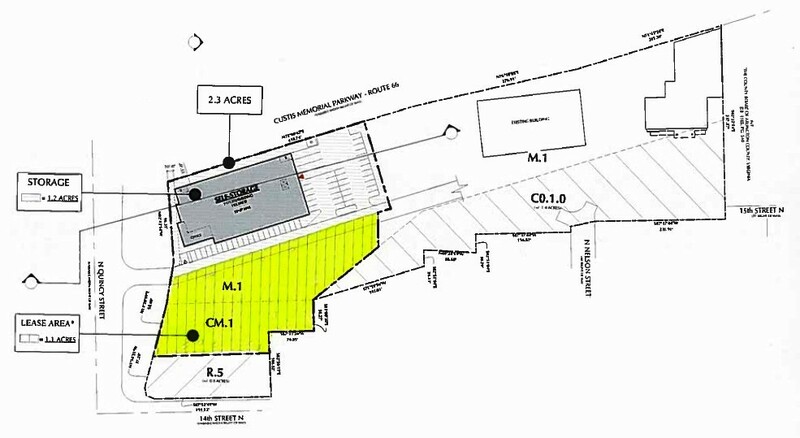 Let’s examine the potential for walkers-only elementary school on the Buck property. As Arlington County continues to grow in population and in services provided by the county government, the need for more land to support those services is increasing, says County Manager Mark Schwartz. Schwartz spoke about the land needs in a county-produced video, above, which was released late last week. He pointed out that only 12 percent of county- and school-owned land is designated for support services — maintenance yards, storage facilities, etc. “This is not enough space,” Schwartz said. Putting the need in perspective, Schwartz pointed out that the county last year filled 12,000 potholes over its 975 lane miles of roadway, repaired 271 water main breaks over its 525 miles of water mains, and facilitated 3.1 million rides on its 65 (soon to be 90, by 2020) ART buses. All of that work and maintenance requires support facilities, and the county’s current facilities are getting too crowded. Arlington County is currently considering a $30 million land acquisition near Washington-Lee High School and subsequent, proposed land swap, which would provide additional property near Shirlington in exchange for a portion of the acquired land. Together, the two actions would add a net 7.3 acres of industrial-zoned land to county ownership. In the video, Schwartz said the land swap proposal is “attractive,” but noted that no decisions have been made yet. “We wanted to be transparent and release the proposal as soon as possible,” he said. At its Dec. 13 meeting, the County Board is expected to direct Schwartz to move forward with negotiations on the proposal. 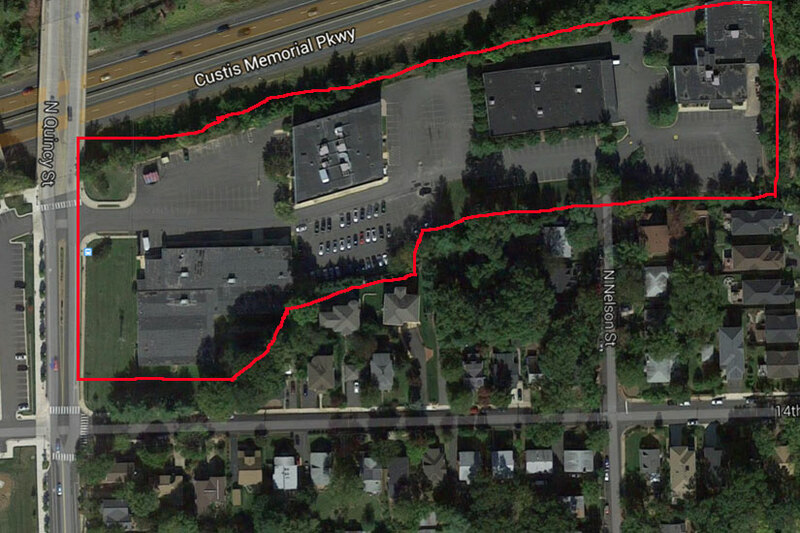 Arlington County is considering a land swap that would provide more land for ART bus parking and would allow a developer to build a self-storage facility across from Washington-Lee High School. 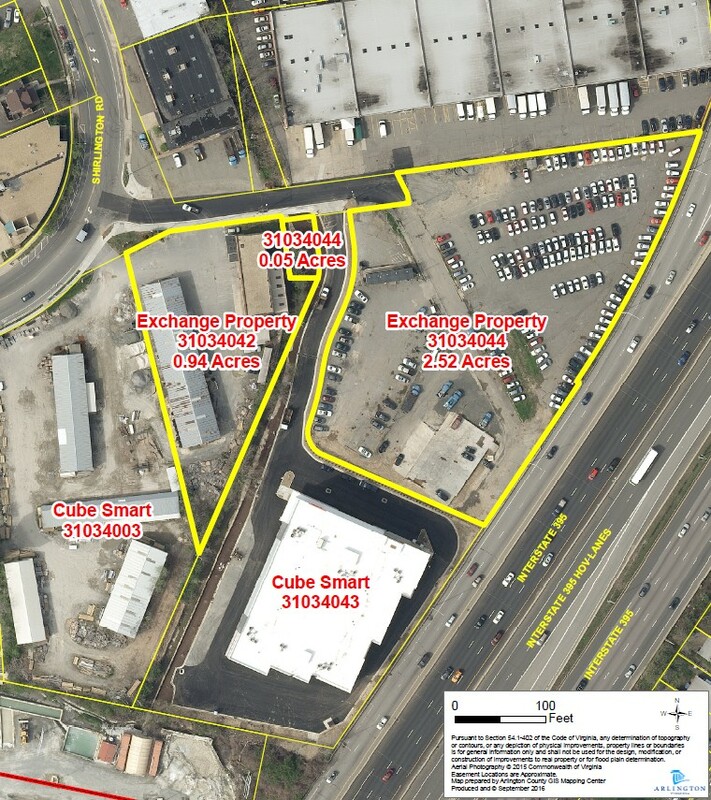 Arcland Property Company, which owns a swath of industrial land near Shirlington, wants to swap those 3.5 acres for 2.3 acres of the 6.1 acre “Buck property” site across from W-L, which the county has an option to purchase for $30 million. Arlington, which is already leasing a portion of the Shirlington property for parking, would get an even larger piece of property for its expanding ART bus fleet — it’s expected to grow from 65 to 90 vehicles by 2020 — and would save $4 million in lease payments. Neighbors might object to the facility — they objected to a county proposal to use the Buck property for school bus parking — but the property is zoned for light industrial use and the facility could be built by right. The county says it will require tasteful building design as part of a deal. The proposed exchange, if approved, would take place after November 20, 2017, the date on which the County must exercise its option to purchase the N. Quincy Street site. The land exchange would involve no additional cost beyond the $30 million that the County has already agreed to pay for the N. Quincy Street site. The Manager plans to seek the Board’s approval to pursue negotiations with Arcland at the Board’s December meeting. If the Board approves negotiations, any agreement that might be reached would come before the Board for consideration in 2017. Update at 11 a.m. — Jim Todd, president of the Cherrydale Citizens Association, sent the following email to residents last night regarding the potential deal. This is a complex issue and there are a lot of potential trade offs. On the plus side, the land swap would end the potential for the County to move the bus depot from Shirlington to the Buck property. But on the down side, it would also limit the County’s ability to use all of the Buck property for other, larger purposes (as the Buck property is also adjacent to Hayes Park, across the street from Washington-Lee High School, etc.). This seems like its happening fast, but there is still plenty of time for us to better understand what’s going on, and to learn what other trade-offs and potential upsides and downsides there may be. I understand that the next step is for the County Board to talk about whether to further entertain this idea at its December 13 meeting. But I have been told that the Board will not be making a final decision at that meeting. 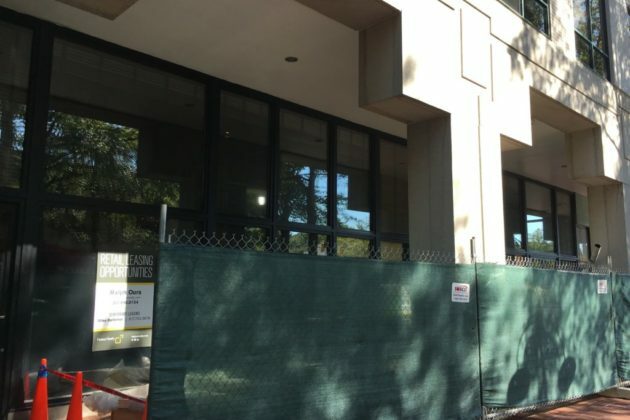 Morning Poll: What Should Be Done With Arlington’s New Property? 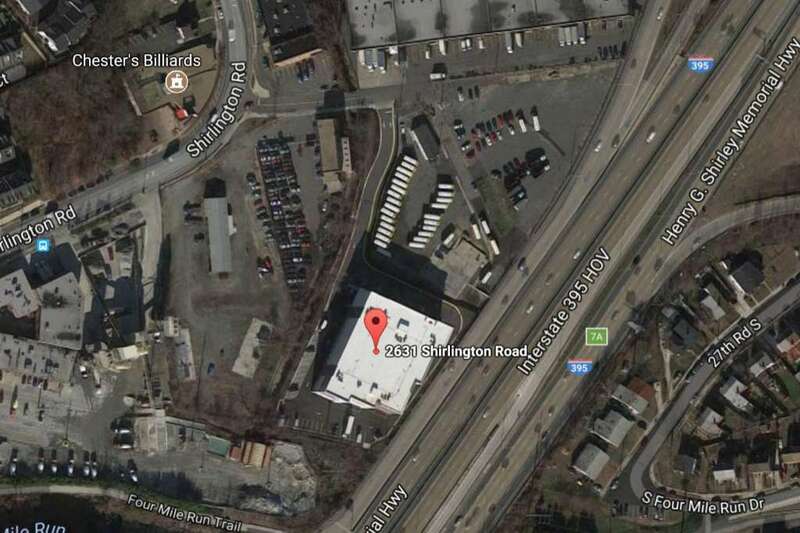 Arlington County announced yesterday that it has agreed to buy a six-acre light industrial property on N. Quincy Street, across from Washington-Lee High School. There are a number of priorities for public property in Arlington that have been discussed lately. Of those, which two do you think are the most important priorities for the N. Quincy Street property? 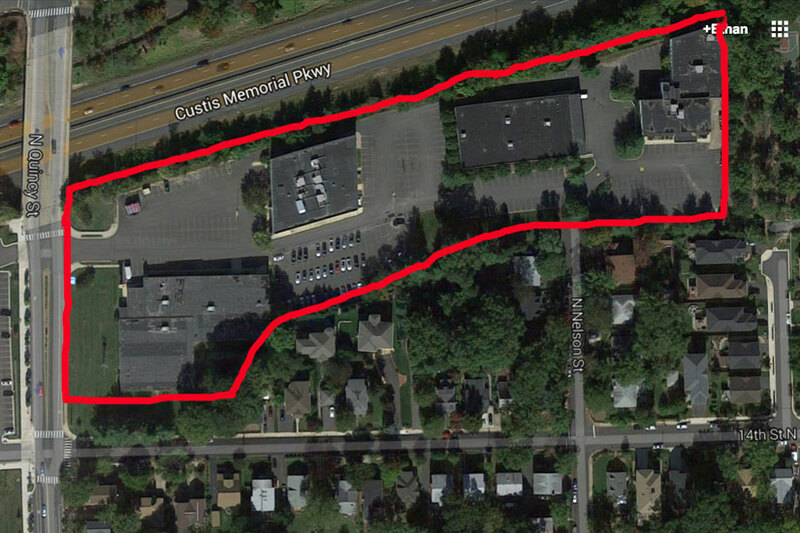 The Arlington County Board signed a major deal to acquire land this afternoon, paying $30 million for 6 acres along N. Quincy Street, across from Washington-Lee High School. The land was owned by Bill Buck, founder of Buck & Associates and Arlington real estate mainstay, who agreed to let the county pay for the land in stages: $1.2 million at the close of the sale, $1.8 million in 2016 and $27 million by November 20, 2017, after the county undergoes a revision to the Capital Improvements Program. The County Board approved the purchase 5-0. 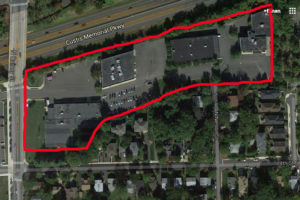 “This is a rare opportunity for the county to acquire a significant piece of property in North Arlington that is zoned for light industrial use, at a time when our community is struggling to find public land to accommodate our many facilities’ needs,” County Board Chair Mary Hynes said in a press release. In the announcement, the county said it has no specific plans for the site yet, but all but 1.35 acres of it is zoned as light industrial. That zoning allows the county to decide which of its chief land priorities — school buildings, a new transportation storage facility and open space — it wishes to devote the new land to. Currently, Nova MMA/Crossfit Arlington occupies the westernmost building on the land, where it moved in 11 months ago after it was forced to move from its first location in Courthouse. It had previously stood next to Wilson Tavern, where a Hyatt House hotel expects to open next year. The Board can opt out of the purchase before November 2017. The first payment was funded through CIP 2014 bond money. The land will be rolled into the ongoing Community Facilities Study, after which time the county will involve Arlington Public Schools — which just announced a plan to put 71 new trailers at elementary and middle schools by 2020 — in discussions on the site. This is the biggest county land acquisition since it acquired 7.1 acres for Long Bridge Park in 2011, in an exchange for additional zoning from a developer. The 1.35-acres not zoned for industrial use are zoned for residential, which allows building streets, sidewalks, trails and recreational facilities. 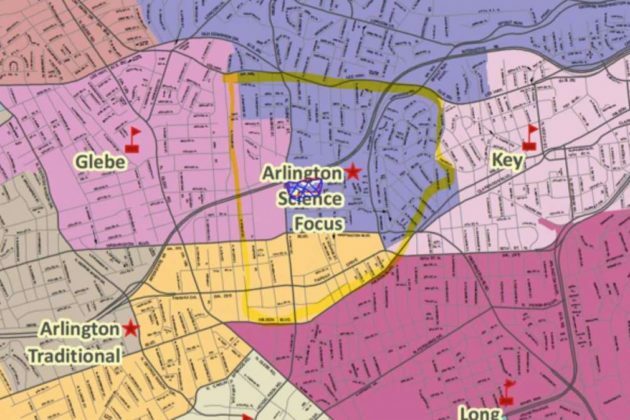 Arlington’s Land Use Plans Compared — Greater Greater Washington compares Arlington’s early General Land Use Plans from the 1960s and 1970s to maps of Arlington today. Among the interesting items: in 1964 car-happy Arlington planners wanted to create a “main street” section of Columbia Pike, with a high-speed bypass going around the commerce-heavy section and connecting to Walter Reed Drive and Glebe Road via interchange. Streaming Classical Music from the Library — Did you know that the Arlington Public Library allows patrons to access a streaming classical music library online, no matter where they are? All you need is your library card number. The service includes more than 65,000 classical tracks. More from the Library Blog. 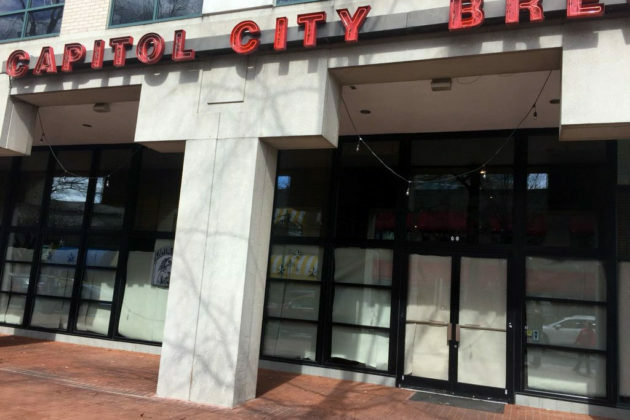 New Latin Restaurant Coming to Columbia Pike — A new Latin fusion restaurant and bar is coming to 3111 Columbia Pike. Fun fact: a FedEx truck crashed into the building’s front window in June. More from TBD.